Probiotics for Babies, Toddlers and Children! 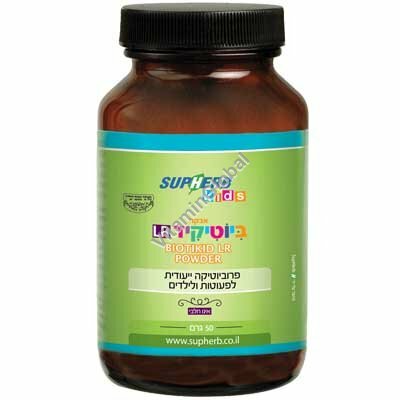 Probiotic formula specially tailored to the health-related needs of babies, toddlers and children. This formula contains 8 different species of probiotic bacteria including L. Reuteri (LR). Studies have shown that probiotic formula enriched with the L. Reuteri bacteria helps the digestive system mature and alleviates acute diarrhea, stomach cramps (abdominal colic), gas, regurgitations, constipation and intestinal inflammations. Similarly, it assists in treating and preventing asthma and eczema. Indications and usage: One teaspoon twice a day. May be mixed with food or beverage. Take BiotiKid LR 2 hours after antibiotics.